Provide comfort for the family of Eric Peterson with a meaningful gesture of sympathy. 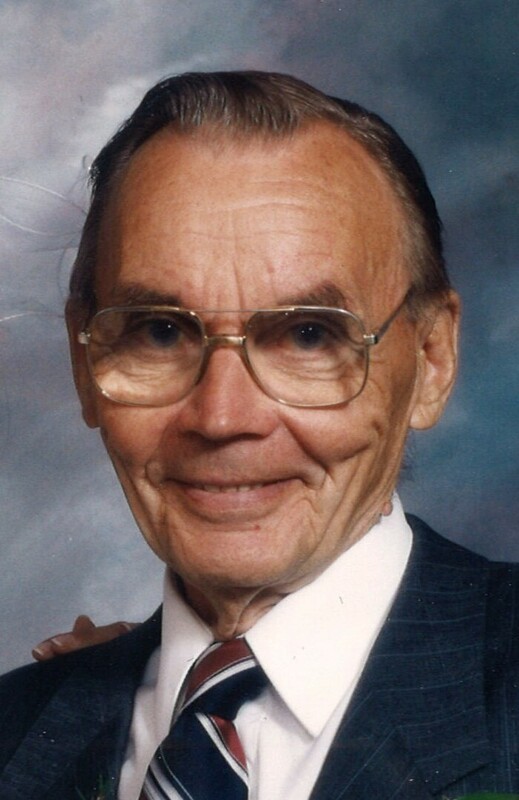 The family is heartbroken to announce the passing of Eric Einar Peterson, age 101 yrs. on March 18th, 2018 with his family at his side. Eric was born in Tevaniemi, Finland, appropriately in the family sauna at his home on May 21, 1917. As an only child, he and his mother and father emigrated to Port Arthur when Eric was 12 yrs of age. Without a word of English in his vocabulary he started in Grade 1 at Cornwall School. After 3 years he went to Hillcrest High School and majored in electricity. During his high school years dad loved to perform gymnastics routines at the Finnlandia club and then worked summers up at the bush camps cleaning and cooking. After high school dad started work at Marshall Wells, where he met the sweetest little lady, Katherine (Kay) Waara. The two were married in 1940 and together forged their legacy. Dad worked his lifetime in the electrical trade firstly at the mines in Geraldton, Beardmore and then the Port Arthur Shipyards. Following his heart’s calling to be an electrician, dad established his electrical contracting business in 1945 operating for 5 years from the household garage on Shuniah Street. His favourite gal “Kay” was his secretary and his biggest supporter. After several moves and expansions Peterson Electric settled in on Cumberland St. Dad worked tirelessly and his last electrical job was wiring a complete garage at the age of 95. Dad also founded the Peterson Furniture Co which he operated for several years with several partners who he then sold out to. His natural love of the “sauna” resulted in dad meeting with Finnleo saunas in Finland. Eric became the North American dealer of the Finnleo Sauna with the office of Peterson Sauna Sales in Duluth, Minnesota. Eric was a member of Shuniah Masonic Lodge since 1944, a charter member of The Knights of Kaleva, a member of the Khartum Temple Shrine and the Thunder Bay Shrine Club, and the Thunder Bay Rotary at one time. Dad also served on the board of the Children’s Aid Society. Eric was elected to the Port Arthur School Board as a trustee for 9 years and then served two years as Chairman of the Board. While chairman, dad was involved in the development and opening of Hammarskjold High School and was privileged to speak and welcome the alumni at their 50 year celebration in 2013. Eric also travelled to Finland with a group on a mission of organizing and creating the Finnish Language program in Thunder Bay. Eric and his daughter Kathy attended the 50th anniversary at the Finlandia Club several years ago. Eric was very proud of the success of this program. Eric was a tireless volunteer having served, to name a few, the United Way, the 55 Plus Centre and the Habitat for Humanity wiring their homes. But hidden from the public view is a long list of good deeds he has done for friends, acquaintances, and sometimes just people in need. Mom and dad loved to travel, and travelled back to their homeland of Finland including side trips to Greece and Spain. After renting in various locations in Florida and Texas they finally settled and built a home in Kissimmee Florida where they enjoyed many fun-filled winters there. Eric and Kay bought property at Hawkeye Lake before a road even went there. Dad with other strong, willing men cut a road from One Island and built their summer home on the lake in the mid 1940’s. After many wonderful summers and many parties, Eric and Kay then purchased a Land and Forest camp on lower Scotch Lake which they loved and really developed. Dad loved his pickerel fishing, picking blueberries and of course clearing brush…..a Finnish tradition while mom was busy cooking and preparing for their very welcomed company. Together with family and friends on many weekends— joy and laughter and very hot saunas were enjoyed. Eric and Kay decided to sell their home and move into the new Signature Court condos on Toivo St. which Eric helped wire. Dad lived in the condos right up until last fall. There he had a great social network and met new lasting friends. Eric is survived by his three children, Mel, Benji (Sandra), and Kathryn (Frank Littlefield); grandchildren, Kristine (Bruce Laco), Mark (Melanie), Curtis (Tana), Craig (Lori), Hayley (Greg McKenzie), Shalyn (Mark Elgie), Brennan Littlefield (Cydnee), and Evan Littlefield; great-grandchildren Erin and Ben Laco, Abby and Lily Peterson, Brenna Peterson, Georgia and Malcolm McKenzie. His companion, Agnes Shewfelt, who was a loyal partner for Eric over the past 20 some years. Dad continued his love for travel with Agnes as they travelled back to Finland, Cuba, Arizona and many mini holidays to Duluth and of course Scotch Lake. Eric will also be missed by his adoring four-legged pal Berkeley. Eric is also survived by family in his home town of Tevaniemi and Tampere, and in Thunder Bay his nephew Kevin Waara, cousin Pentti Aaltomaa and good friend Glenn Halonen. Dad was predeceased by his father Carl, his mother Aina, and his beloved wife Kay in 1995. The family is very grateful to the wonderful care Eric received as a result of his fall at the Regional Hospital, St. Josephs Hospital and finally Roseview Manor. According to Eric’s wishes a “happy” celebration of life will take place on Thursday, May 16th, 2019 at the Hilldale Lutheran Church, Hilldale Road. 12:00-2:00pm. A private cremation has taken place and the family will lay his ashes beside Kays in a private setting at Riverside cemetery. If friends desire, Eric was a huge animal advocate, donations can be made to the Humane Society of Thunder Bay. Arrangements entrusted to the Sargent & Son Funeral Chapel, 21 N. Court Street. On-line condolences may be made at www.sargentandson.com. Eric touched everyone he met as he was a kind, caring and selfless man. He lived his almost 102 years to the fullest. It would warm his heart to know that people carried on his ways and his virtues. we love you dad, and you will always be in all of our hearts. With love in heavy hearts your family. To send flowers to the family of Eric Peterson, please visit our Heartfelt Sympathies Store. We encourage you to share any memorable photos or stories about Eric. All tributes placed on and purchased through this memorial website will remain on in perpetuity for generations. Provide comfort for the family of Eric Peterson by sending flowers. I wish to express my condolences to the family of Eric Peterson. The City of Thunder Bay has lost a pioneer who has done so much for the City and Surrounding area. Eric has personally touch me in two ways. First he was instrumental in constructing Hammarskjold High School which I attended from 1965 to 1969 in the Technical program. I met Eric again in the mid 80"s. I was a project manager for Wunnumin Lake Power Distribution Project. Peterson Electric was the Contractor and Eric was on site doing construction and training community members on the construction and maintenance. I last saw Eric at the Hammarskjold High School 50th anniversary. He will be well remembered for the work he has done. David Morellato P.Eng.